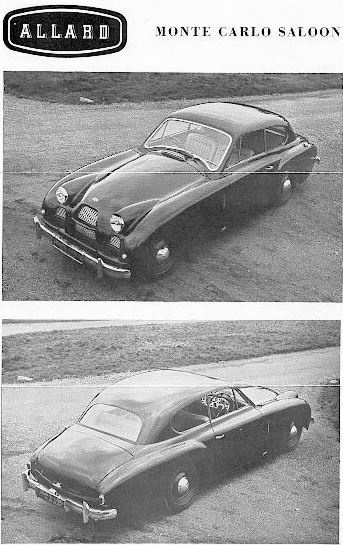 K 3 – end of prod. 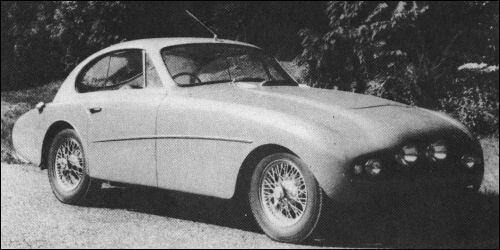 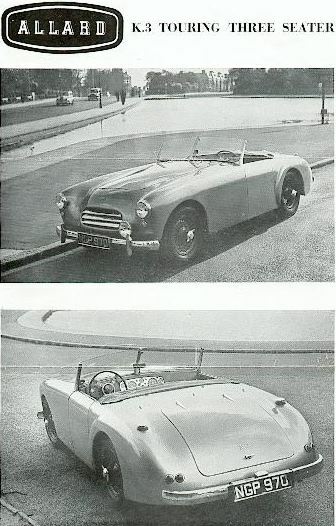 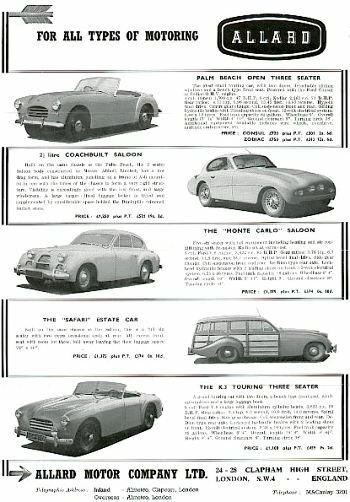 Allard Coachbuilt Saloon, a one-off two-door streamlined aluminium-panelled model built by E. D. Abbott of Farnham on the Palm Beach chassis. 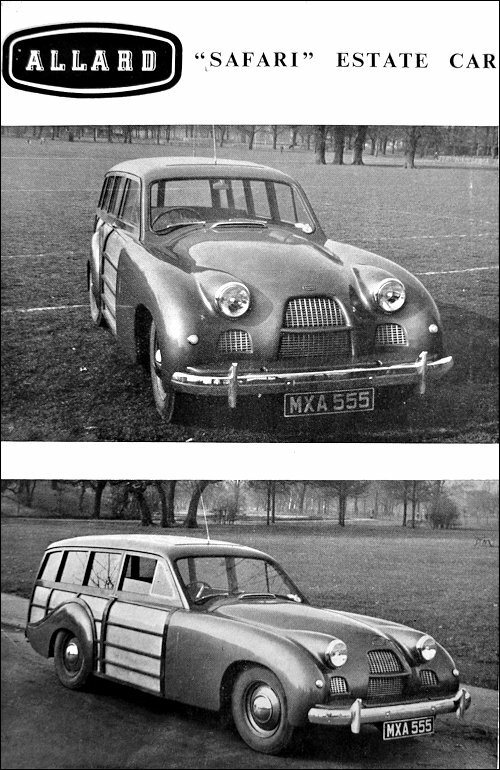 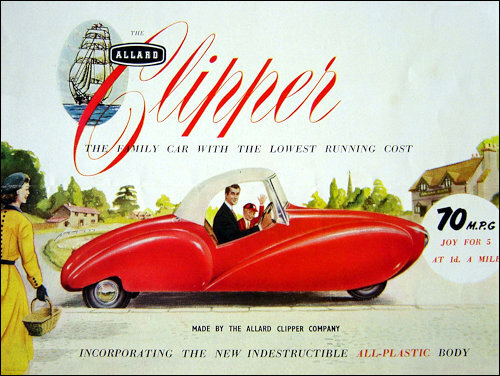 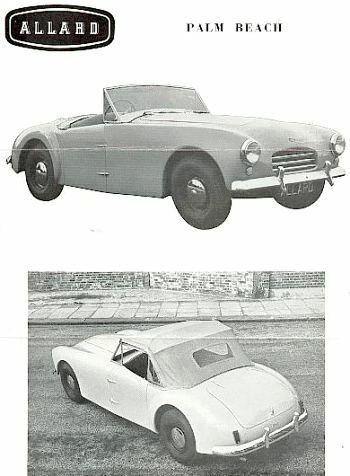 It featured a curved windscreen, and headlamps and sidelamps mounted within a wide front air-intake.